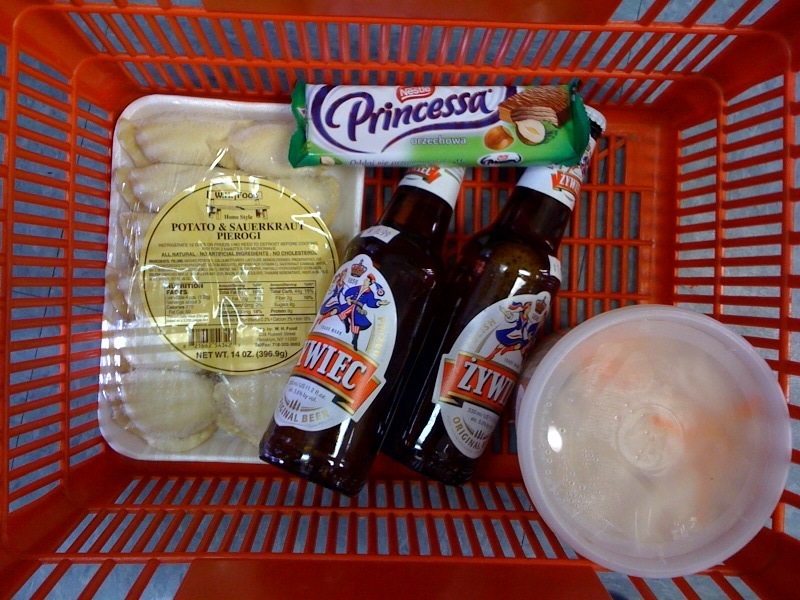 While Washington, DC doesn’t rank high on the list of cities with a strong Polish immigrant population and influence (à la Cleveland or Pittsburgh), we are nevertheless fortunate enough to be home to a deli and grocery dedicated completely to the culinary whims of the area’s thousands of Poles and Eastern Europeans. Nestled on the top floor of a strip mall in Rockville, the Kielbasa Factory is small yet offers a comprehensive selection of grocery items and ingredients, frozen and prepared foods (most made in New York, though some in-house), and deli meats and cheeses. 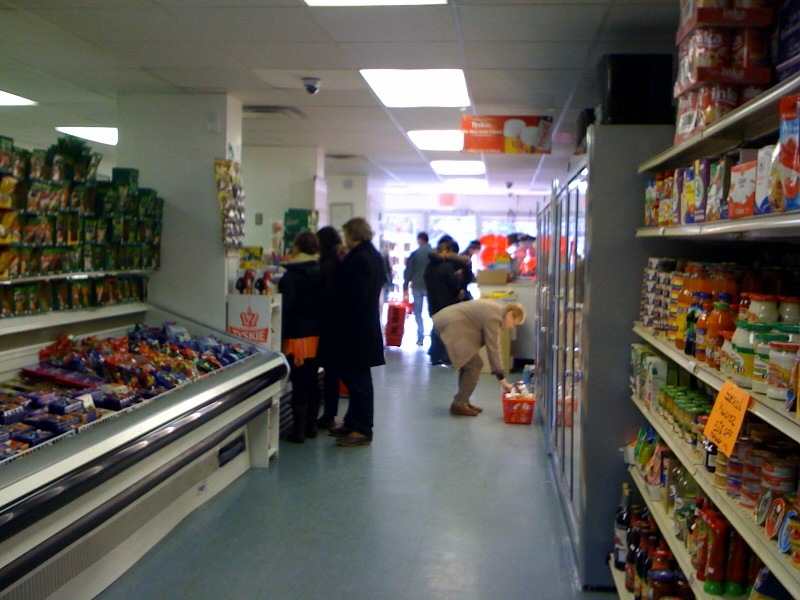 This family-owned store has only been open since late 2007, is the only Polish deli in the area, and as far as I can tell one of only two places in DC and its surroundings where you can get Polish food (the other being the restaurant Domku in Petworth). 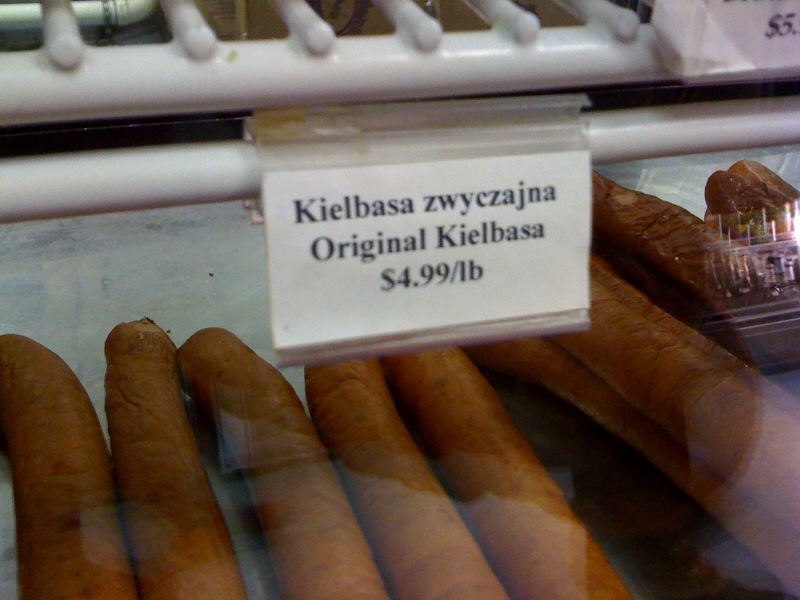 Of course, the main attraction to the Kielbasa Factory is the kielbasa, and the store features many different varieties of these sausages. Jars of pickles, preserved fish, and canned fruits and vegetables line the walls, along with Polish coffees, candies, wine, and other products that I’m sure must be a delight to find around here. I was disappointed that all of the Polish baked goods had sold out by the time I was there on a Sunday afternoon. 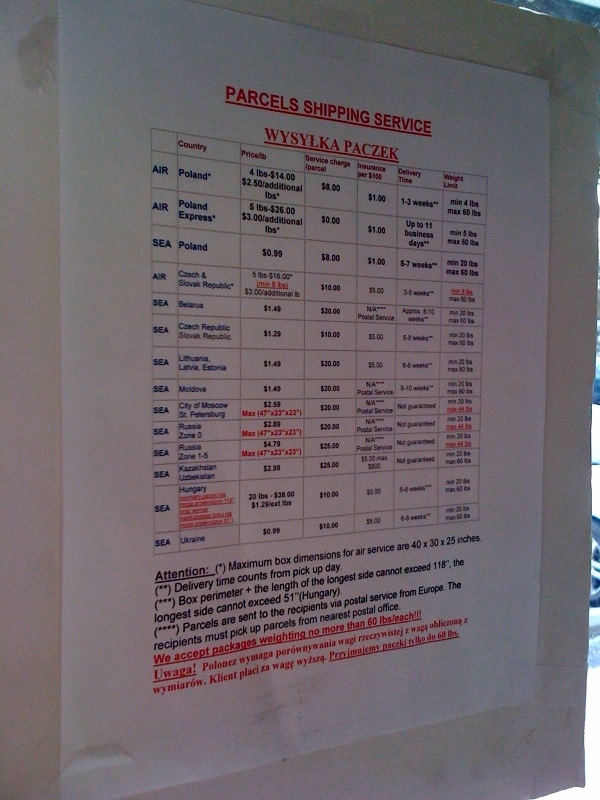 Apparently paczki (filled donuts) and other homemade pastries are delivered on Fridays from New York City, and are usually sold out by the end of the weekend. 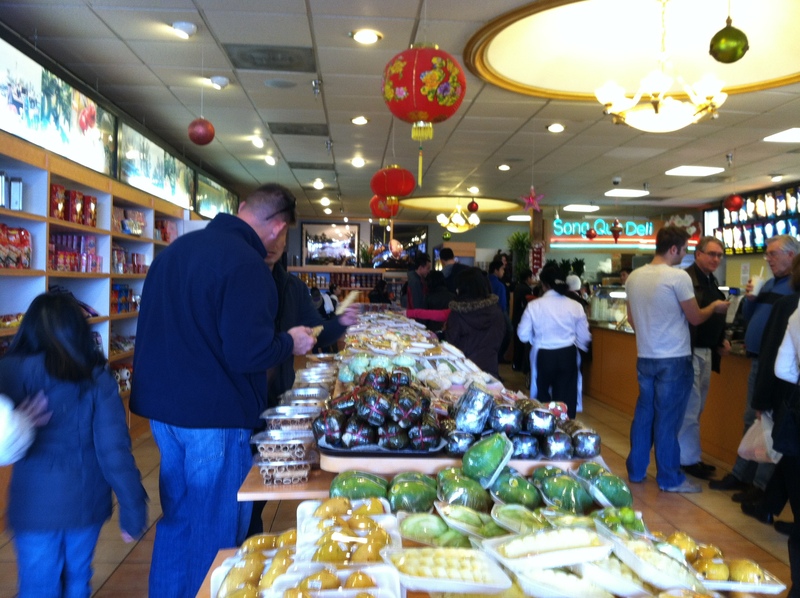 So, my advice: go early on Saturday morning if you’re looking for baked sweet treats! (Meanwhile, watch this great clip about the paczki-making process and how a local Polish bakery in Detroit has become a staple in the community). 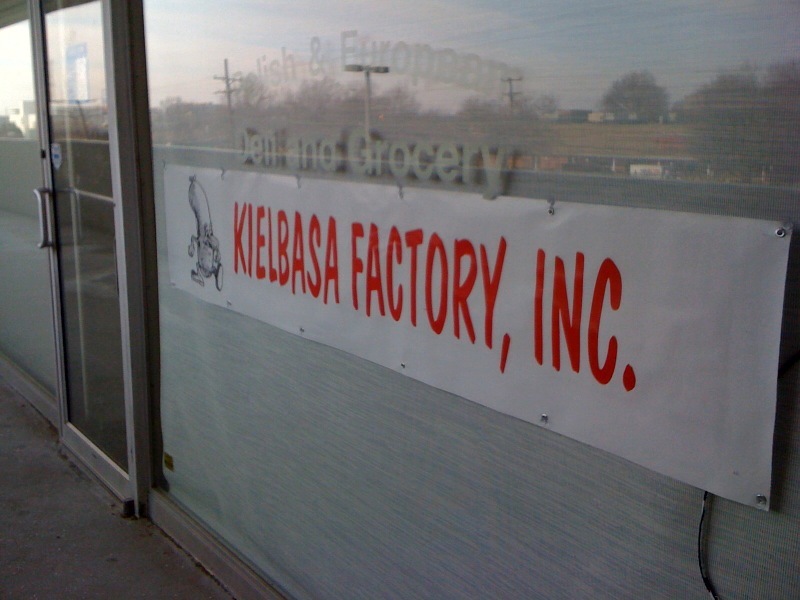 Also interesting about the Kielbasa Factory is that it has a shipping and parcel service to make sending packages to Poland and other Eastern European countries easier. In addition, there are a number of Polish newspapers and magazines for sale. It’s clear that the Kielbasa Factory is not just a place to get good food, but is an important part of Rockville and DC’s Polish community. 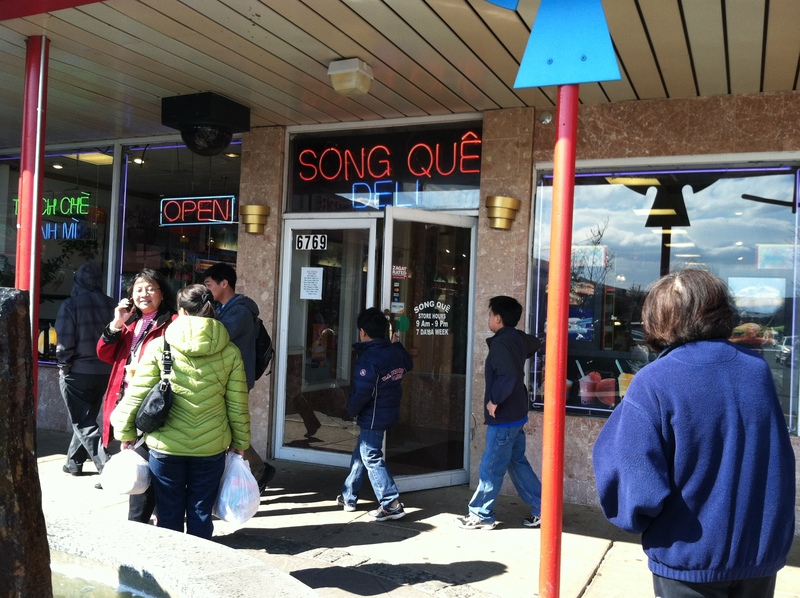 To get there: 1073 Rockville Pike, Rockville, Maryland. 240-453-9090. 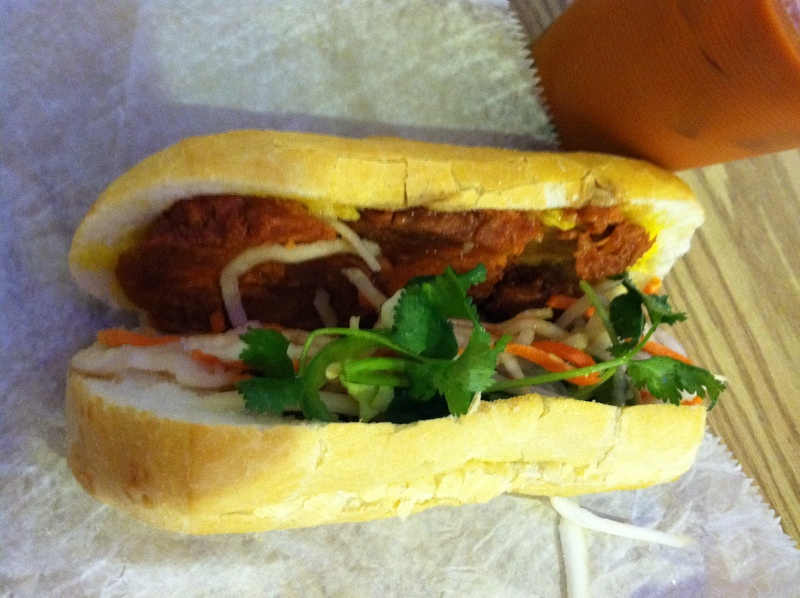 Hours: Monday-Thursday 11am – 7pm, Friday 11am – 8pm, Saturday 10am – 6pm, and Sunday 11:30am – 3:30pm. About 1.5 miles walking from the Rockville Metro station. A handful of buses run up and down Rockville Pike to both Rockville and White Flint Metro stops. 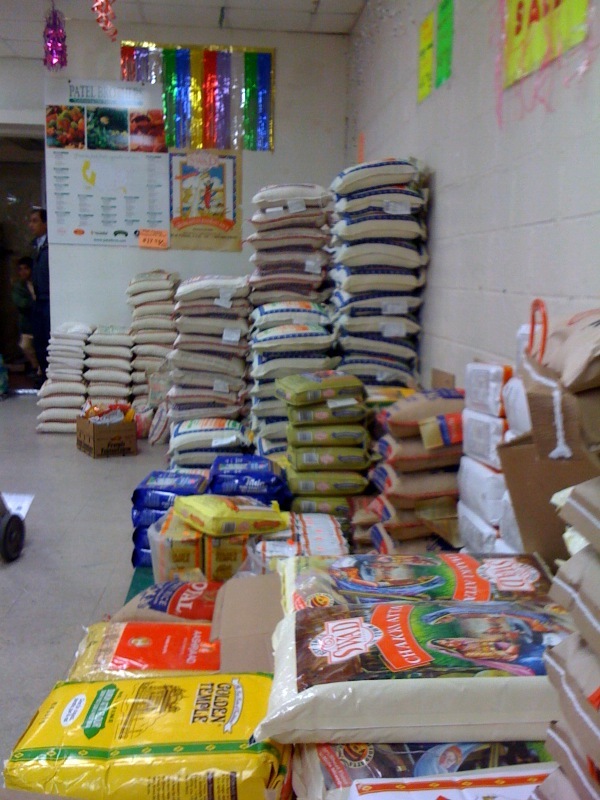 One often hears lamentations about the lack of great ethnic groceries in DC and its metro area, and to some extent, the complaints are accurate. * And they are certainly true when it comes to Indian and southeast Asian foods—there are no Indian groceries within the city itself. 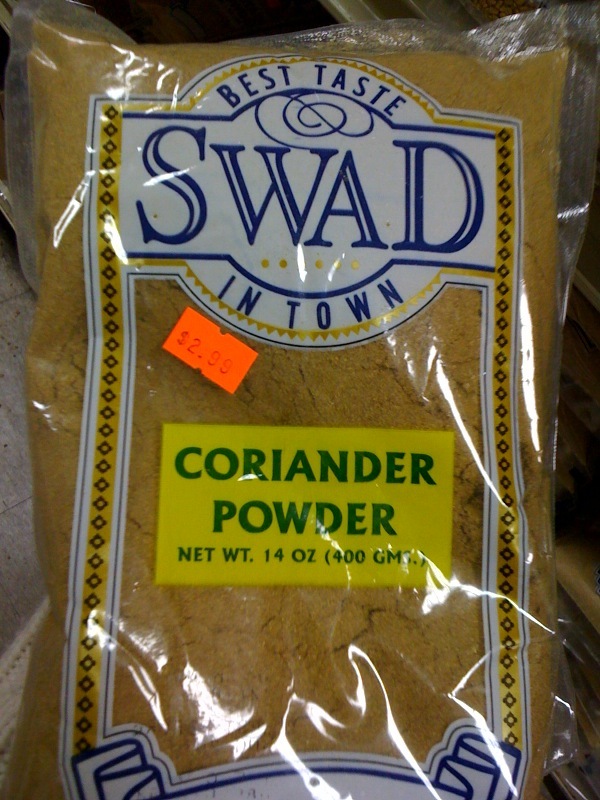 But luckily, I found not only an Indian grocery just a few minutes over the Maryland-DC border, but an excellent one! 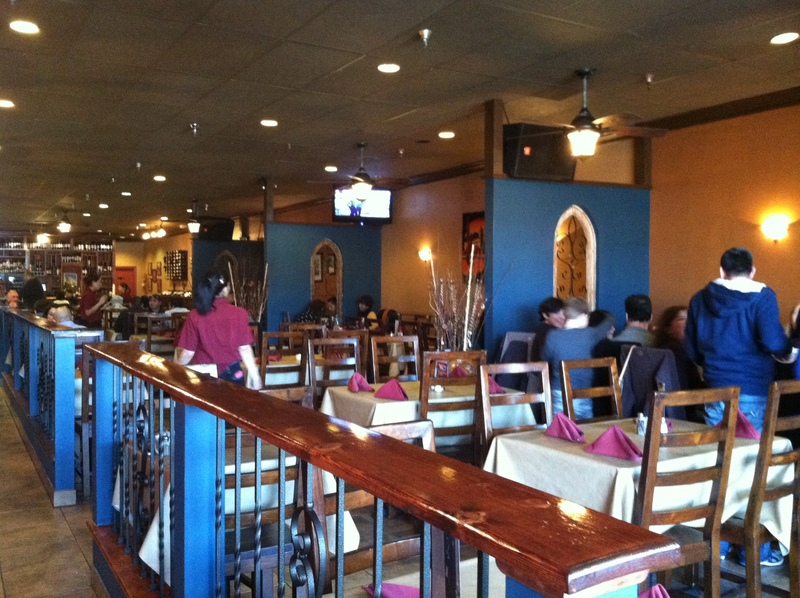 Patel Brothers is located in Langley Park (adjacent to College Park), and is the answer to all of your vegetable korma, garam masala, and gulab jaman needs. 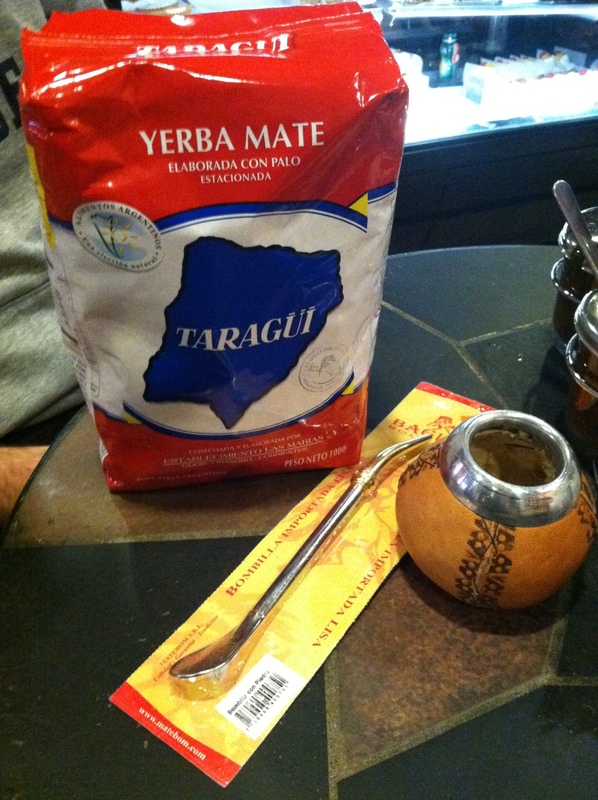 I have to credit an Indian friend for tipping me off to this place, as I never would have found it on my own. 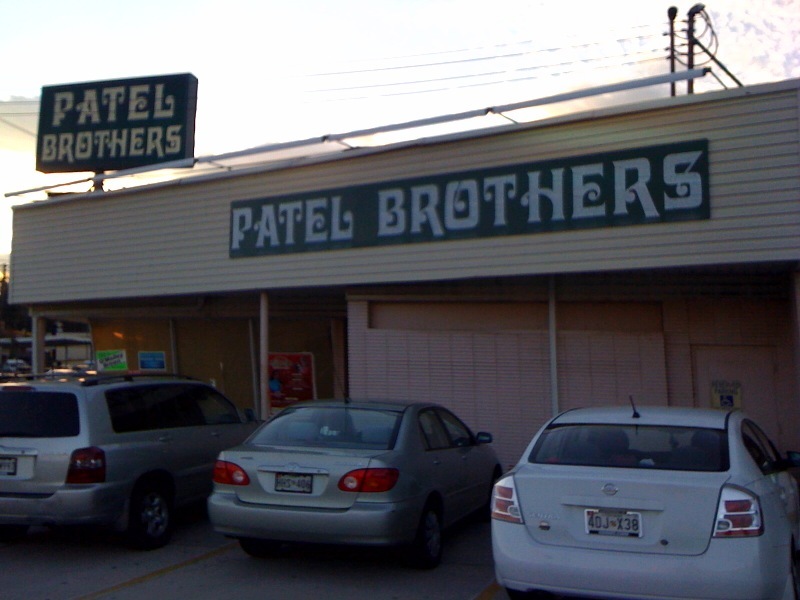 In fact, very little information or reviews are available on-line, which is surprising considering that Patel Brothers is actually the largest Indian grocery chain in America with over 35 stores across the country (see its website). The fact that it’s not discussed on Chowhound, DC Foodies, and other local food blogs could mean one of two things: 1) it’s terrible, or 2) non-Indian Americans just don’t go here! From what I could glean in my one visit, I found the latter to be the case. The quality of products I bought, the variety available, and of course the recommendation from an Indian friend (who is quite the cook himself) all led me to believe that this big chain with its little local presence is a secret that is worth your discovery. One last tip—don’t forget to check out the array of Indian CDs and DVDs in the back for a little more Indian (not just Bollywood!) flavor. 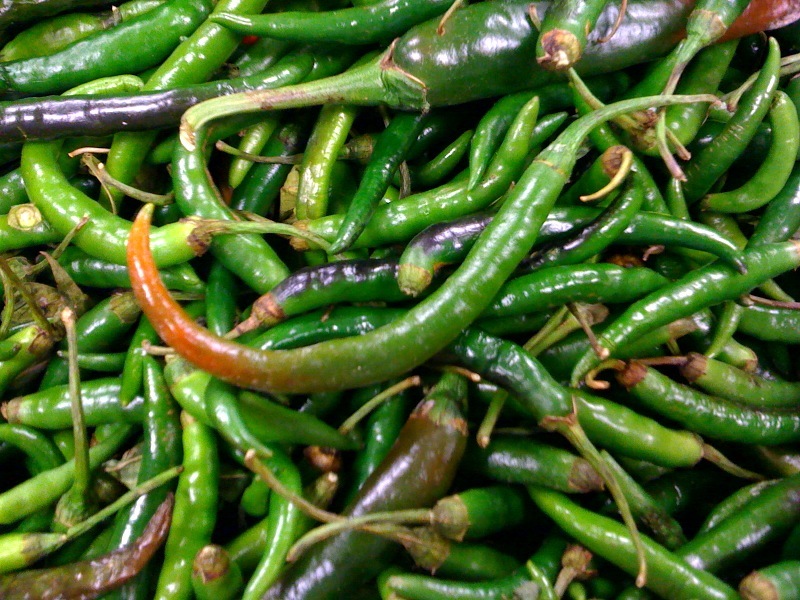 They say the better the spices you buy for Indian, Thai, and other foods, the better your meal will taste. And after cooking divine curried chickpeas with a coconut curry sauce, I am now a believer in this mantra! 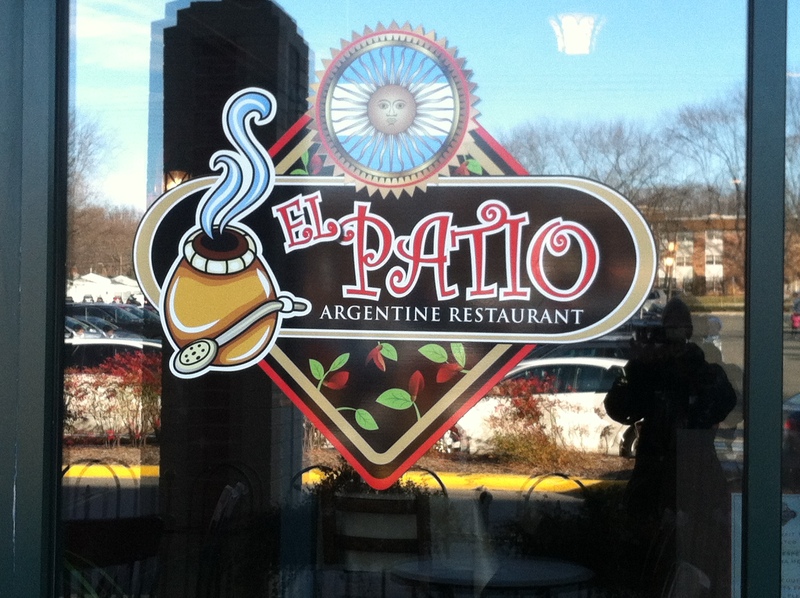 To get there: 2080 University Blvd E, Langley Park, MD, 301-422-1555. A fair bit of a walk from the College Park, Takoma Park, and Prince George’s Plaza Metro stations. I’d say a car is your best bet for this one! * But not for Ethiopian, Mexican/Salvadorian, and Italian markets! 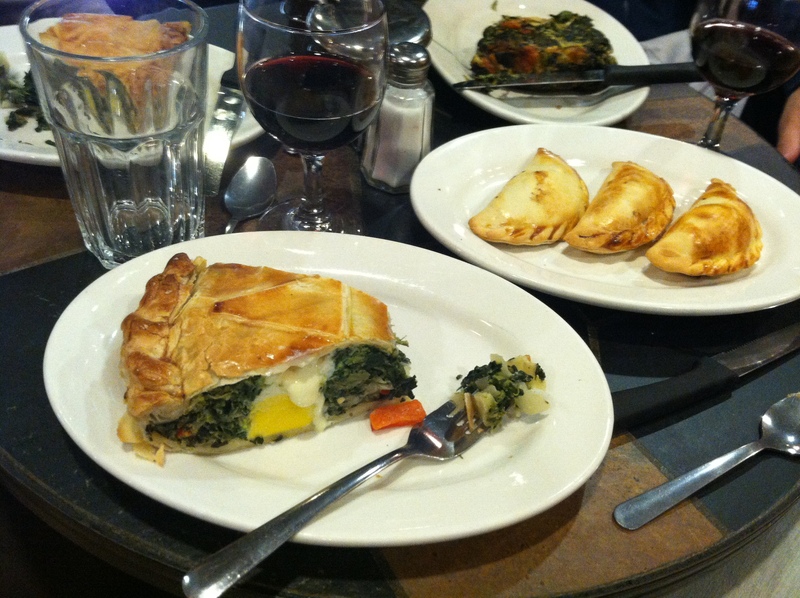 See my posts on Litteri’s and Hana for two other great local grocery finds. 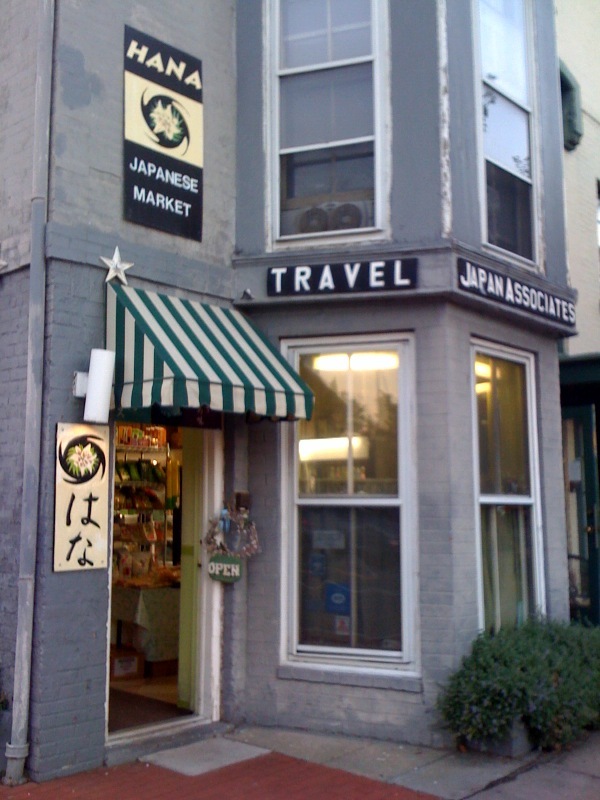 The Hana Japense Market, located at 17th and U St. NW, is a teensy tiny treasure trove of an Asian grocery. 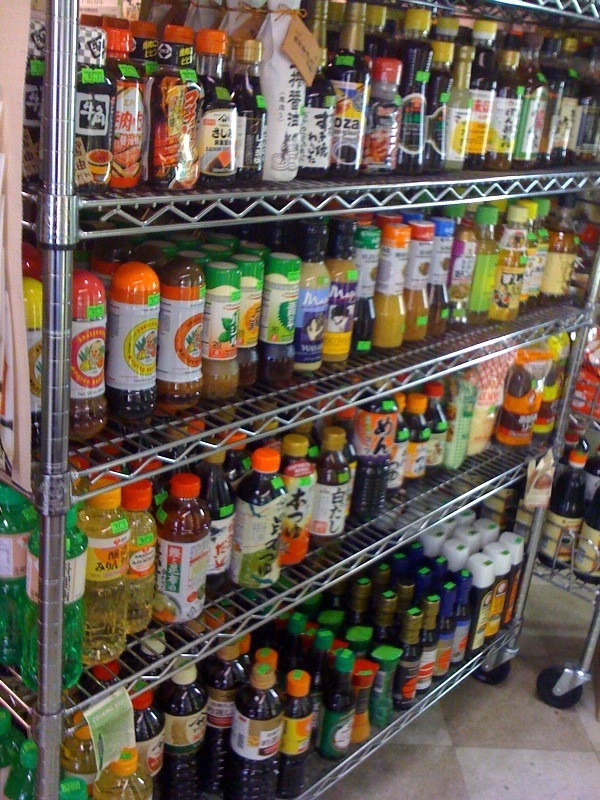 Filled chock full with every item you ever needed for your teriyaki, homemade sushi, and okomiyaki, this little store has, as far as I can tell, the distinct reputation of being the only Asian grocery within District bounds (besides the wholesalers at Union Market). Hana, which only opened in 2008, is managed by a Japanese couple who oversee about three staff. They are delightful and will cheerfully lead you to your item of choice should you not be able to decipher Japanese. One of the most amusing parts of the market is that it shares space with a Japanese travel agency—I can’t speak to it at all, but it leads to the walls being lined with lovely photos of the world abroad. 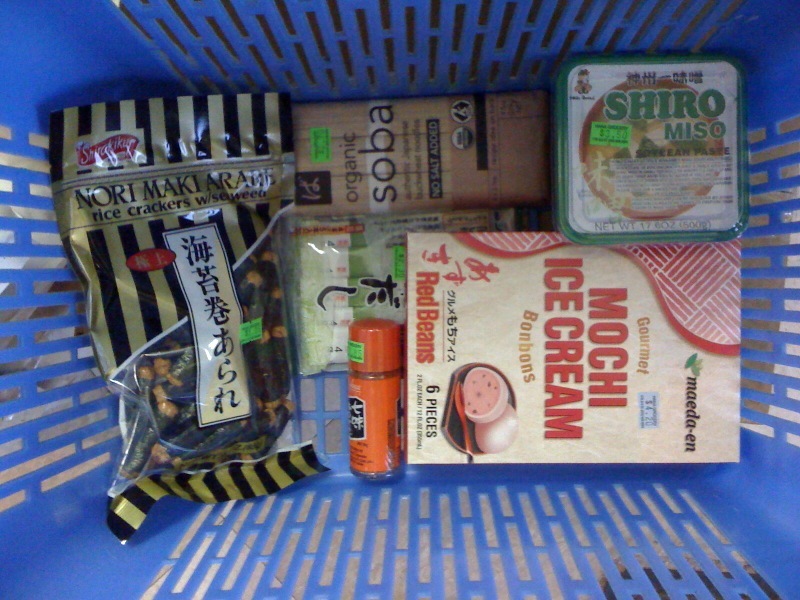 The store has quite the variety of items and variations on themes, including prepared foods the freezer, candies galore, 15 kilo bags of rice, and enough soy sauce options for any of your soy sauce needs. Also, of great import to us Westerners, is the fact that all items imported from Japan have English labels on the back so we know what the heck they are and what ingredients are in them. Now, I’m no connoisseur of Japanese cuisine, so it’s difficult for me to say exactly what Hana is missing. However, reviewers on Yelp! and Chowhound are quire impressed with the selection, listing all kinds of random ingredients and foods that can be found there and that their bellies have been yearning for. I, for one, am still experimenting with Japanese food, but managed to find vegetarian dashi (soup stock) which I was sure didn’t exist, as well as shichimi togarashi (flavored red pepper flakes) for my maiden voyage with miso soup. Hana is also the location for delivery of fresh fruits and vegetables, from both a farm in Virginia and Los Angeles. If you walk by during the summer you might even find little seedlings for Japanese basil and eggplant sitting outside for sale in a small cardboard box. This little market will serve many of your Asian food needs, as it also carries a handful of Thai and Chinese ingredients, and the cheapest Sriracha sauce I have seen so far! 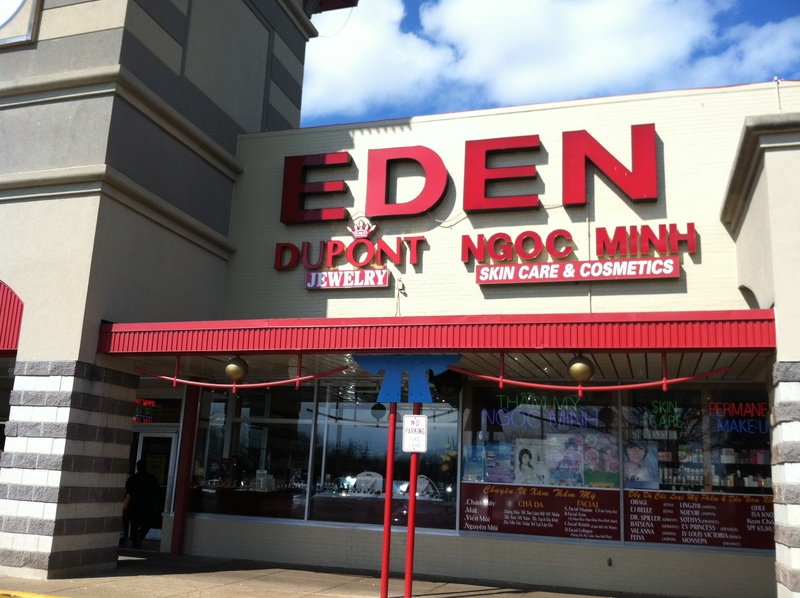 To visit: 2004 17th St NW, a short walk from the U St. and Dupont Circle Metro stations. Also right off of the 90s and L2 bus lines. (202) 939-8853. 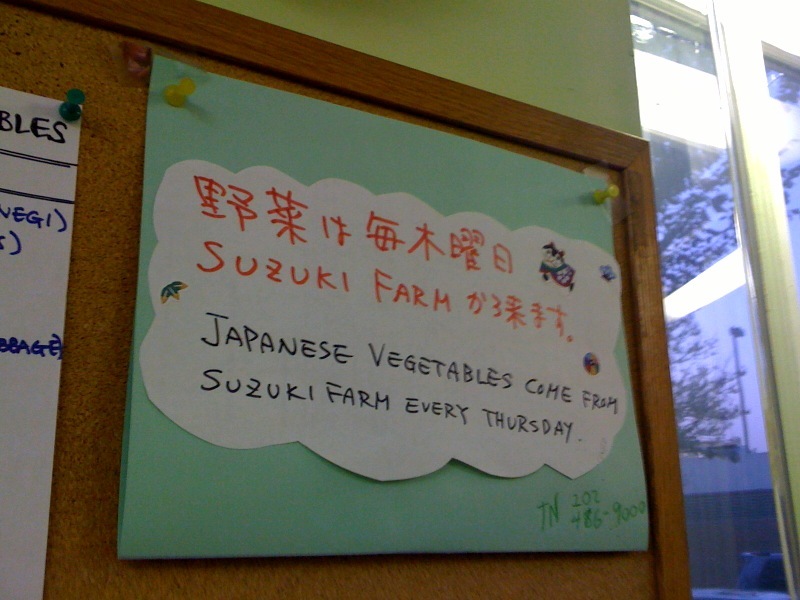 Tagged as Asian, DC, food, grocery, Japan, Japanese, U St.